Paris, France is known as the city of love, and for good reason. I mean Paris and romance go together as well as lattes and croissants, which you will find plenty of. From the cobble stone roads to the exquisite gardens, there is so much to share with your partner. In fact, Paris is home to two of the most popular places in the world to propose and is one of the most popular destinations for honeymoons. 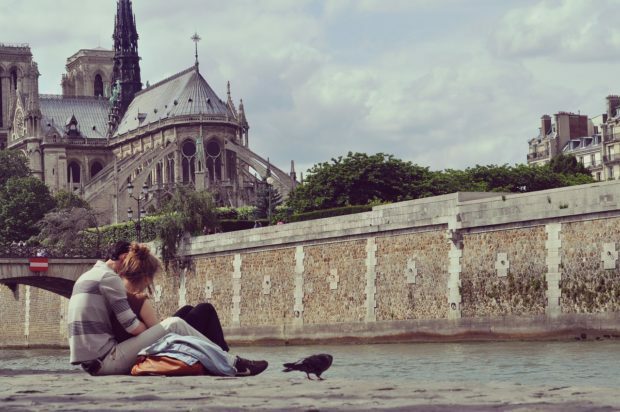 So where exactly should you and your partner go to celebrate your love in the city of love? Here are our 7 must-have experiences in Paris! Take your love to new heights with a trip up the 1,000 foot tower. One of the most popular spots in Paris and for good reason. At the top you will find an incredible view of the entire city. 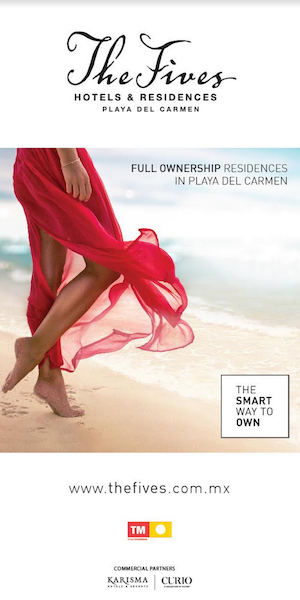 Once you have taken in the views, make your way back down for the ultimate romantic experience. Unroll a blanket, take out some wine and cheese, and lay together watching the tower sparkle in the night sky. There is no better way to explore the city then by walking around the streets and trust me, the cobble stone roads are truly magical. 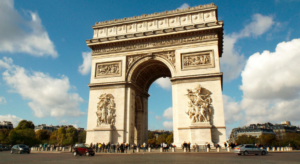 Stroll down the tree lined Champs-Élysées for some of the worlds best shopping and then make your way to the Arc de Triomphe to witness some masterful architecture. Want to escape the downtown crowds and have a little more quality time with your partner? 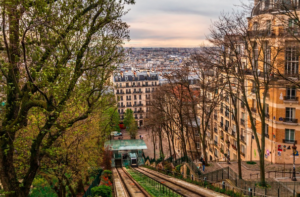 Well head to northern Paris to visit Montmartre. Wander through the winding streets and gaze at buildings that housed the likes of Pablo Picasso and Claude Monet. While there, you also need to make your way to the top of the hill for some stunning city views. Is there anything more romantic than a garden filled with some of the world’s most beautiful flower beds. 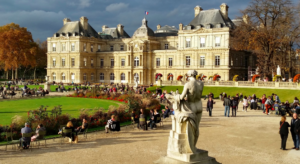 The gardens surrounding the Luxembourg Palace have been a go to spot for romance for centuries. Kings and Queens used to dazzle at the beauty, and to this day thousands of couples make the visit to explore the beautiful statues, fountains, and of course endless flowerbeds. 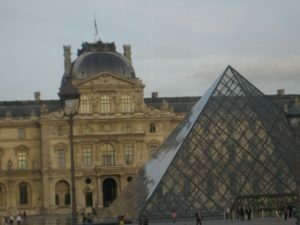 The Louvre is a must visit on any trip to Paris. It is one of the world’s largest museums and is home to incredible art such as Leonardo da Vinci’s Mona Lisa. It is one of those places that will truly rake your breathe away. 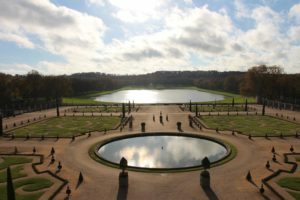 For those couple looking for a bit of adventure, take an hour long train ride to Versailles to visit the Palace of Versailles. The Palace used to be the residence of King Louis XIV and is breathtakingly beautiful both inside the walls and out. Spend a few hours exploring the endless rooms and gardens of the chateau before making your way down to the main canal where you can rent a paddleboat for two. How charming! 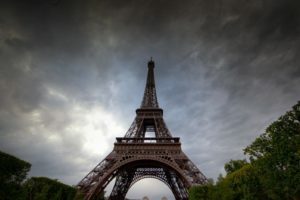 Paris has definitely earned its nickname, The City of Love, and it is hard not to fall even more in love with your partner while exploring these amazing spots. A romantic trip to Paris could be the transcendent experience your relationship needs. Mia Gordon is an award-winning sports and lifestyle reporter, host, and writer. She currently works as an on-air personality with Sportsnet and the National Lacrosse League. In the past, she covered Grand Slam tennis tournaments for TSN and was a reporter for the Olympics with CBC. She also worked as a national news anchor and reporter for Sun News. As a former professional tennis player, Mia loves playing sports and being active. When she isn’t working she is traveling and exploring the world, discovering a new restaurant, or attending a music festival.